friendship – Page 2 – A Word, Please. . .
dried corn stalks to our lamp post at the end of the drive, and also to our mailbox. And to our neighbor’s mailbox. In September, driving back and forth to the market, I resisted handmade corn flower wreaths hanging from a produce stand in front of a house on Round Lake Road. Finally, I surrendered — honor system, drop cash in the can. I also found a bunch of dried Indian corn irresistible. Why didn’t I plant Indian corn, I thought as I dropped in more money. Living outside a city makes most avenues of spending money seem profligate. Spices? Grow them. My sister-in-law buys spices in bulk and stores them in old baby food jars. Salsa? Too easy. Throw tomatoes from the garden into the blender with some garlic, salt, cilantro and half a jalapeno, save $3.99. Seventy-year-old widows routinely mow their own 3 acres. In the spring, my son carved taps from sticks he found in the yard and stuck them in our maple trees, collected sap, bucketful after bucketful. 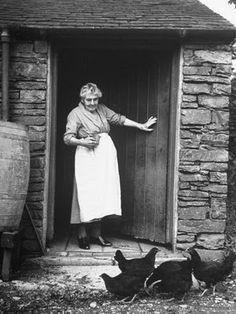 A large soup pot vibrated on the stove day and night, tin shoulder to the grindstone, making maple syrup. Eight dollars for a bunch of corn stalks? Pfft. We grew ours. We’ve begun renting out a room on Air BnB, which means hours before guests arrive, my husband and I transform the house and ourselves. It is verboten to leave the bedroom in the morning without a sweater, regardless of weather. My husband has standing orders to light a big fire no-matter-what. And although it’s bad for the chimney, we burn pine because it crackles better, sacrificing chimney safety for woodland ambiance. Welcome to our happy home. Battery operated candles picked up at the Salvation Army flicker in the windows. We have perfected whisper-arguing behind closed doors. The children are forbidden to bicker, cuss, thunder up and down the stairs or use the microwave after 6pm. Beeping timers do not evoke a timeless woodsy escape: Sleep under hand-hewn beams in the former hayloft of an 18th century barn. . . Guests are met at the end of the drive by lamp light weeping eerily through sagging corn stalks. “Park by the holly bushes.” They find the dried wreath on the front door, and a string of sleigh bells fat as apples from the yearly antique fair at the farm. Sleigh bells had hung from the dutch doors of my dad’s saddle shop in Scottsdale. 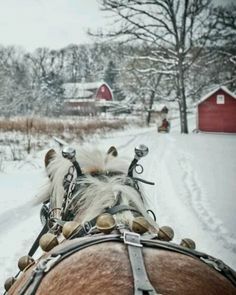 Their jingling evokes all the good parts of childhood, the oily, leather scent of saddles and bridles and harnesses, my father pacing in front of the shelves of hoof ointment and Murphy’s oil soap, a slip of paper taped to the door during lunch — “Back in 15 minutes!”. Ham sandwiches on white bread at the nearby cafe. I wear a plaid shirt, a sweater around my shoulders. I smile more, assume the affect of Martha Stewart if she had the eating habits of Aunt Bea. Guests are invited to finish their morning coffee by the fire, or meander down the wooded trail behind our house. We stage a happier, carefree version of our life, choreographed within the same walls where we receive updates on terminally ill relatives and lie awake at night worrying about the mortgage payment and health insurance. Here I invite you to read last year’s award winning post, Please Eat the Lunch When I’m Dead: Fiery Autumn and Sensible Friends, a story that opens in an old, wood frame church we only spottily attended last year, an escape of our own, onto which we had projected much needed simplicity and comfort and spiritual healing. We have not been disappointed. Last year, the congregants startled us with their sign-of-peace like a swarm descending on our hiding place in the back row. This year, those same people know what’s behind our shiny veneer of warm, BnB hospitality, cozy sweaters and roaring fires just like they know who lies beneath the old stones in the churchyard. They are people who pray for us, recognize our sore spots, and ask us how things are. The beginnings of sensible friends.